We’ve had the squirrels around all Winter, but I haven’t had a chance to take more photos of them. 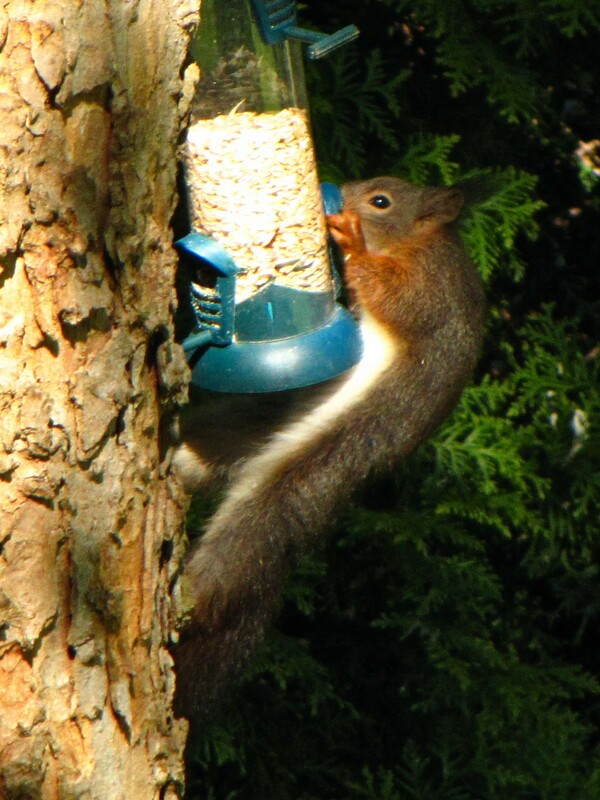 Today one of them checked out the small bird feeder that someone had hung on the trunk of the Maple tree in front of our balconies – and spent quite some time there raiding the bird food! Only a few shots turned out well because the lighting wasn’t ideal and the autofocus was being difficult, but I think this might not be the last time the squirrels have done this – they’ve even been on the balconies a lot!